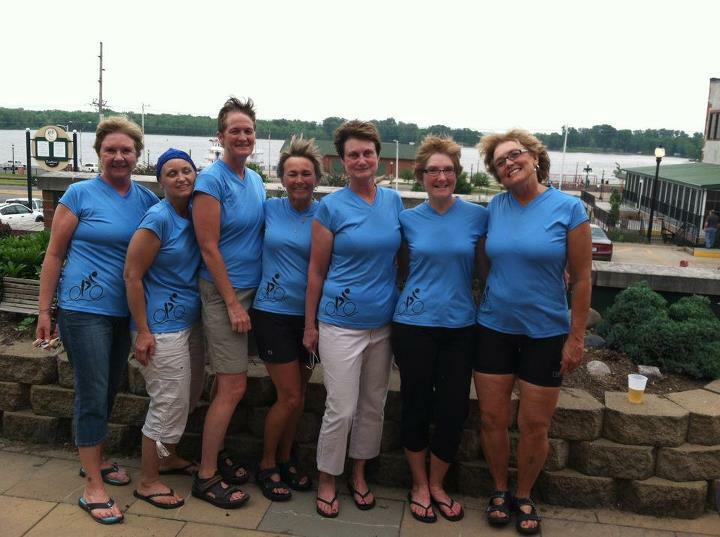 The Cycling Cysters — from the left: Peg Heither, Jane McFate, Julie Rose, Diane Olson, Diana Tank, Paula Hedrick Durham and Carol Ward — held a Relay for Life fundraiser in May at Elly’s Tea & Coffee. 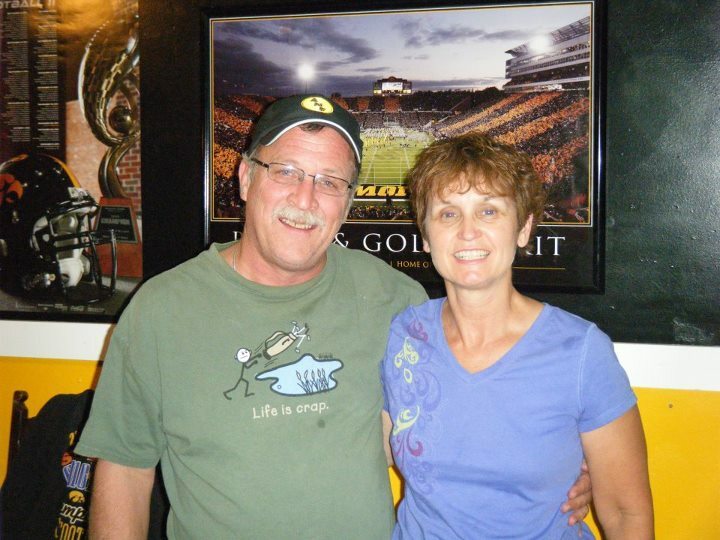 It was organized, at least in part, because of McFate’s battle with cancer. A friend called this the worst picture he had ever seen of seven attractive women. But it’s the thought that counts and I hope they don’t mind that I’m using it AGAIN. This morning I feel just a bit embarrassed and ashamed. A little sad, too. Last night, after writing a blog post in which I made fun of my mechanical ineptitude and complained just a bit about my old truck, I learned that Jane McFate had lost her long struggle with cancer. It really puts things in perspective. Jane, who was 54 and so full of life, had been ill for some time. She died around 7:30 p.m. on Monday, Aug. 6, 2012. This would have been around the time her friends in the Melon City Bike Club were finishing their weekly ride and gathering at Missipi Brewing Co. for 99-cent burgers and beers. The bike club is how I met Jane, along with many members of her extended family. They include her sister, Diana Tank, and her family; her brother, Pat Cooney and his family; her husband, Pat McFate, and their family; her cousins, Al and Dave Cooney, and their families. Jane was a Cooney and it’s nearly impossible to live in Muscatine without knowing at least one Cooney. And as sad as her passing is for all of them, I can only imagine the celebration her family will throw to remember her life. It would be difficult to know anyone nicer than Jane. I believe she is in a better place and in no more pain and all of that. But she will be missed here by her many family members and friends. I no longer live in Muscatine, and was not aware of Jane’s illness and her participation in the bicycling organization. I loved seeing the picture of this group that rallied around Jane’s fight. Particularly, I love the image of Jane riding free on a bicyle, as this is the Jane I knew and loved from junior high and high school. It is a comfort to know she is riding free now from the struggles that were holding her down. May her spirit ride free now and be an inspiration to us all. Thank you for sharing, Chris. Thank you for reading and commenting, Becky. I’m not sure how you found this little corner of the Internet, but I’m glad you stopped by. Chris.